Virgin Hotels is set to open its third hotel in Dallas, Texas, already adding to its current buildings in Chicago, as seen above, and San Francisco. The hotel will consist of 200 rooms that Virgin refers to as “guest chambers” and is set to open later this year. Eight more Virgin Hotels are set to open across the country within the next few years. The hotel will also have Virgin’s signature dining experience known as the Commons Club which has been referred to a private club that’s open to all. Of course, no luxury building can move into a city without a little bit of controversy. Some of the building’s neighbors are worried about the strain such a building will put on local infrastructure. However, many other businesses in the area see the new hotel as an attraction that will bring a new influx of revenue to the neighborhood. 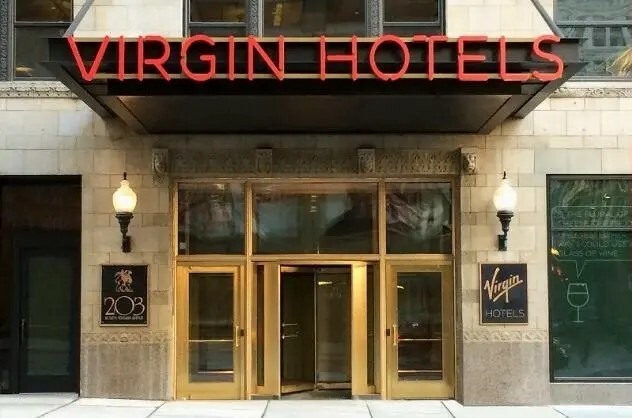 What’s not known yet is how many jobs are being brought to the hotel as the Virgin Hotel website is only currently accepting applications for positions in Chicago. However, if you’re looking for a hospitality position with the new hotel, keep your eye out for the inevitable hiring announcement. Unlike other luxury hotels run by a certain high-profile oligarch, you probably won’t have to worry about Virgin Hotels declaring bankruptcy.